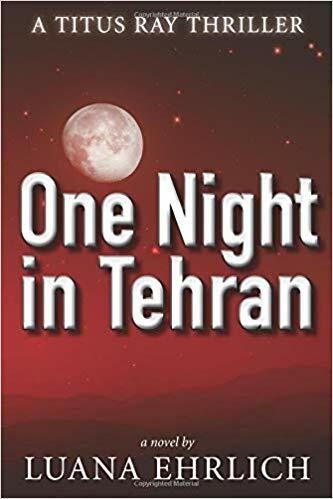 Our book this time is “One Night in Tehran” by Luana Ehrlich. Veteran CIA officer Titus Ray–on the run from the Iranian secret police–finds shelter with a group of Iranian Christians in Tehran. While urging Titus to become a believer in Jesus Christ, they manage to smuggle him out of Iran to freedom in Turkey. Volunteer support is critical to our mission of leading the fight against hunger! The Houston Food Bank utilizes volunteers six days a week at our Main Warehouse. Whether you come out as an individual or part of a group, we are certain you will have an enjoyable, positive experience. Volunteers MUST be at least 6 years old and supervised by parent or guardian throughout the shift. Please plan to arrive at least fifteen minutes before your scheduled volunteer shift so you can check in, receive instructions and start on time. If you arrive after the start of your shift, you may have to wait up to 30 minutes for orientation and assignment. If members of your group arrive late, we cannot guarantee they will be able to join you in your assigned project area. Varies with the makeup volunteers for shift. Most of the projects at the warehouse involve inspection, sorting, and repackaging of donated food items for community distribution. "We are happy to call St. Matthew our home and we hope you will find a place here, too!" St. Matthew is a member congregation of the Lutheran Church Missouri Synod (LCMS). 2019 Copyright St. Matthew Lutheran Church. Powered by WordPress .